Known as Glass Microspheres Beads have been used for at least 100 years, which were found applications in in many industries and thousands of applications including aerospace and military materials, molded plastic components, retroreflective highway signs, oil and gas, recreation, paints and coatings, transportation, construction, mining explosives, personal care, cosmetics and consumer products, amongst others. 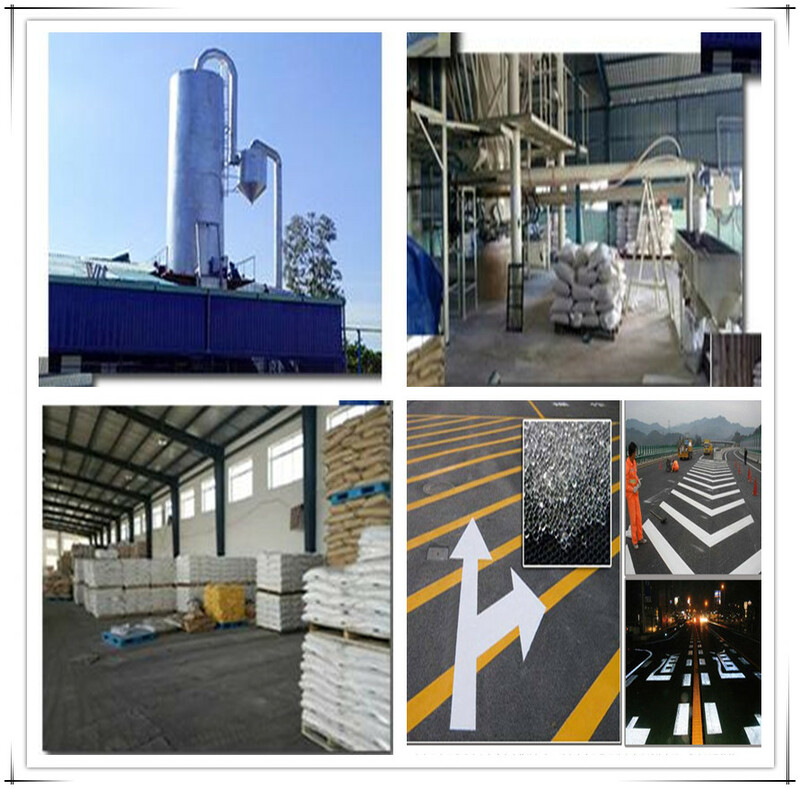 In recent years, Coated Glass Microspheres Beads have experienced excellent growth due to new high-value, high-growth industries that have emerged and the availability of high quality glass beads for road marking with perfectly sphericity, tight tolerances and particle size distributions available on the market. These industries include biomedical, life sciences, microscopy, automotive, high-tech equipment and specialty applications. China Glass Beads for Road Marking as a necessary material for road marking, are mainly used for road mark lines and traffic signs. It is usually classified as bellows according to its usages. SMicro Glass Beads For Thermoplastic Road Marking, brighter and better in moisture proof. It is used by dropping / spraying after mark painting. The coating will increase durableness for glass microspheres / beads and better function in rainy days and moist regions. KS Standard Reflective Glass Bead and also in different single sizes or mixed according to customers` demands. Glass Beads for Grinding,Blasting Material Shot Blasting Glass Beads, as known as Nonmagnetic material, are used for metal surface cleaning and polishing by shot blasting / peening . It is always used for precise machinery manufacturing. Glass microspheres / Glass beads are used as additives and intensifier for plastic, rubber, paint and composites. They characterized in equal size, smooth surface , high hardness, chemical stability, etc with round rate more than 90% and highest purity. Glass sands / grits are raw materials for glass microspheres / beads. Glass sands are separated in different sizes to meet for different glass microspheres sizes. After heated inside special figuration stoves, glass microspheres come out.. Colored Glass Beads have various colors, are specialized in anti-fading, odorless, non-toxic, anti-corrosion, and no harm to environment. Looking for ideal Premixed Microspheres Glass Beads Manufacturer & supplier ? We have a wide selection at great prices to help you get creative. All the Drop on Microspheres are quality guaranteed. We are China Origin Factory of Coated Glass Microspheres Beads. If you have any question, please feel free to contact us.